Why buy gaskets when you can make them? NanoMill can also perform mechanical decapsulation, including the removal of heat spreaders prior to decap. NanoMill provides an easy to use solution for "quick turn" decapsulator tooling and device preparation. Control is via a GUI touch pad interface that enables the operator to select the desired function and enter key device measurements. There is no need to know anything about machining or "G Code" to operate NanoMill. 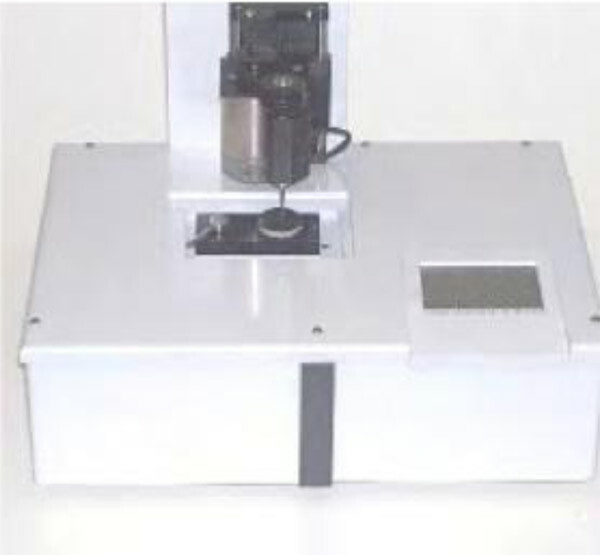 To make a gasket design to be cut, and to input key measurements of the device to be decapsulated. Additional gasket types can be made that allow easy decapsulation of other plastic encapsulated devices including QFN, PBGA and BGA devices. NanoMill comes complete with everything you need to get started. The "sub7" AFLAS gasket materials come precut to correct diameters and is supplied with an adhesive backing. 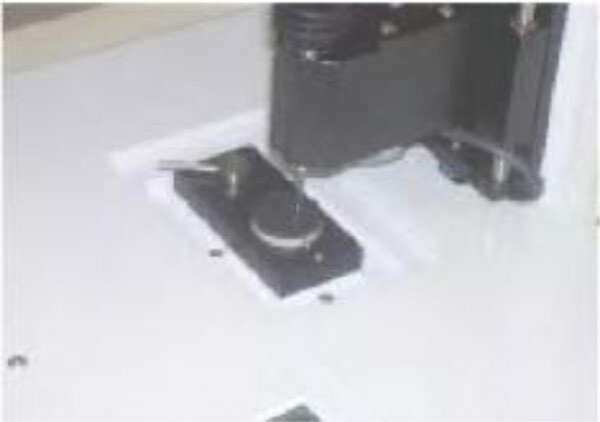 For use, the protective paper is removed from the back of the gasket blank which is then placed on the Holding Fixture. The Holding Fixture is inserted into the Fixture Clamp and the gasket is ready to machine. For a definition gasket the cavity dimensions are set in software, and the operation run. To make a Pocket Gasket, the cavity size, package size, die offset from the pocket center, and the desired pocket depth are entered. Gasket blanks are available in 1 inch and 1,3/8 inch diameters and in 0.062 and 0.094 thickness.